Announcing the latest release from Mile Marker Press! 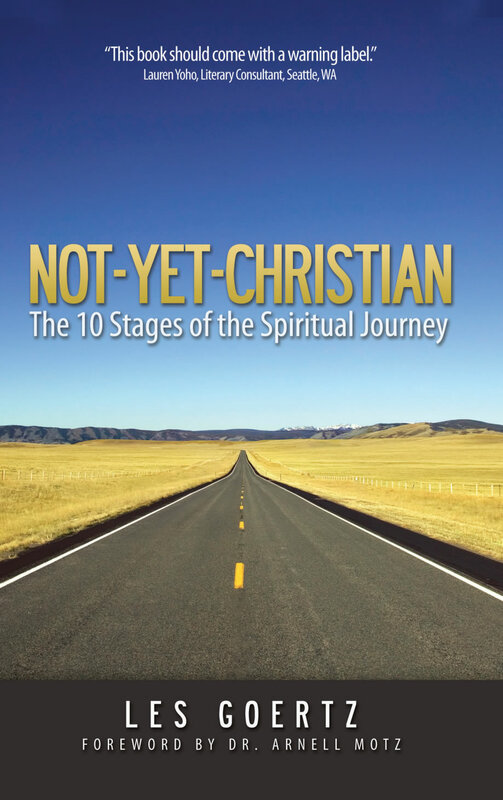 Informative, engaging, practical - this book explores the spiritual journey and provides tools for participation in that journey. Discover new ways of connecting that are relevant today. Learn powerful and positive questions to start a conversation and connect with those around you. Topical chapters include Relating to Culture, Marketing to Needs, 10 Evangelism Myths, and Relating the 10 Stages to Life Situations with examples for you to work through. Chapters specific to the 10 Stages include Curiosity, Evaluation, Hostility, Emptiness, and Stubbornness. Discussion Questions follow each chapter so that you can review the material on your own or discuss in a group setting. Not sure if this book is for you? Click on above tab, 5 Reasons to Read Not-Yet-Christian. Save on shipping costs when you order multiple copies at the same time. Click on CONTACT LES to send your request or call Les Goertz at (604) 859-7009. Copyright © 2015 Mile Marker Press | Les Goertz. All Rights Reserved.